One tool that proves to be useful in more ways than one is a folding saw. They’re common amongst outdoorsmen like hunters, campers, hikers, and backpackers. You can use it to help you build shelter, to clear a trail if necessary, and to cut firewood. They’re also a useful household and gardening tool. 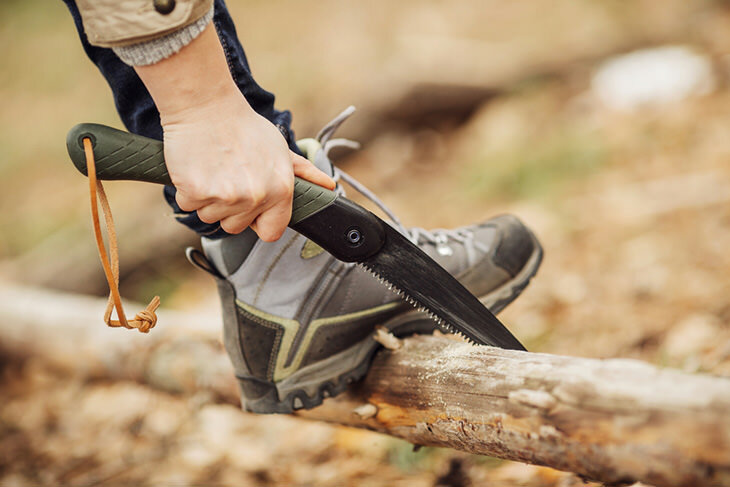 Whatever you intend to use it for, it’s important that you know what features to consider to help you get the best folding saw for your needs. Bahco is a top-notch manufacturer of hand tools and saws from Europe. They’ve been innovating for around 130 years! The Bahco Laplander Folding Saw is one of their bestsellers. In fact, it’s the #1 best seller in Hacksaw Blades on Amazon. The Laplander is a general purpose saw. The 7.5-inch Laplander has seven teeth per inch. 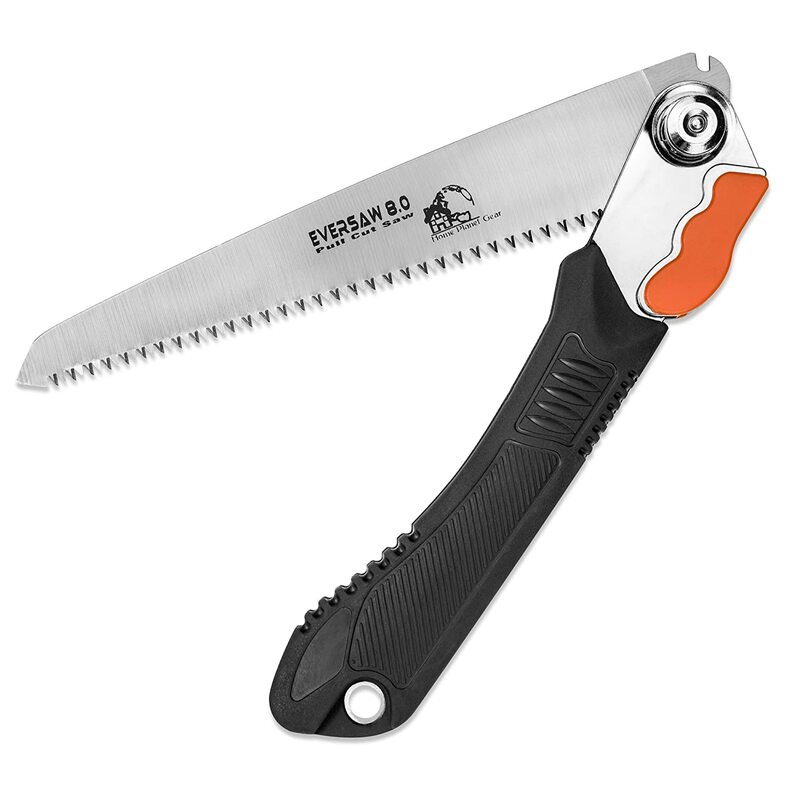 If you want a folding saw for pruning small to medium branches, you should take a look at the Razor Tooth Saw. Its manufacturer, Corona Clipper, Inc., is a leading manufacturer of gardening and landscaping tools in the U.S. The Razor Tooth Saw has a curved blade design to aid in quick cutting of branches. You can choose from 3 sizes for the Blade – 7 inches, 8 inches, and 10 inches. 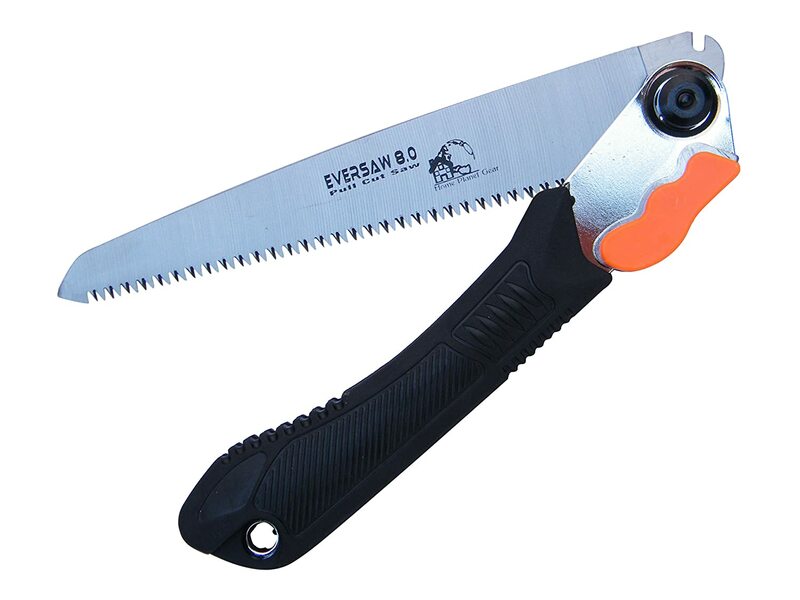 If you’re looking for an all-purpose or general purpose saw, the Eversaw Folding Saw is a great option. It has a rugged 8-inch blade that has triple-cut hardened razor teeth. The blade uses carbon steel and features a 9-TPI design, making it a great utility saw. The unfolded length is 17 inches, while the closed length is 9.5 inches. Both left and right-handed users can easily have an excellent grip on the handles. The lock is easy to use and prevents accidental unfolding or inadvertent folding while you work. The first thing you should determine is what you will be using it for, so you can narrow down your choices. If you’re using it for gardening at home, then portability is not as big of an issue as it is for backpackers and hikers. What you intend to use it for will help you determine the other factors below. If you’re car camping, then the size will be not a big problem. Backpackers and hikers, on the other hand, would prefer something lightweight and compact. 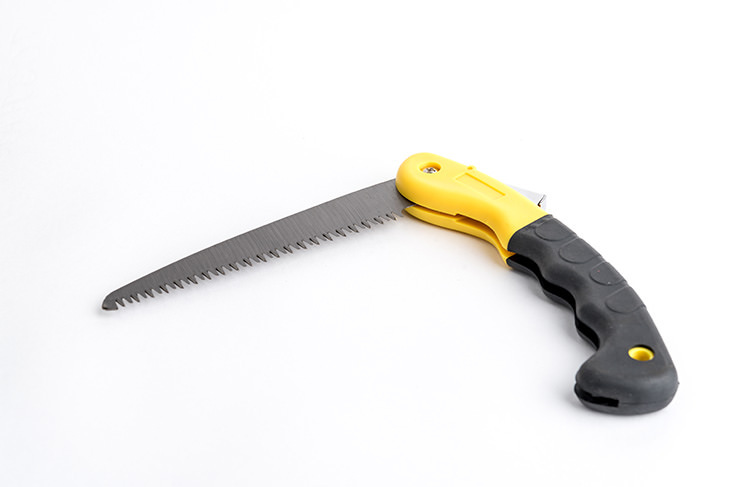 A folding saw is meant to be portable – thus the folding mechanism. The size of the blade is also important to look at. A longer blade gives you more leverage and stroke. The length is also a contributing factor to how many teeth per inch the blade can have. 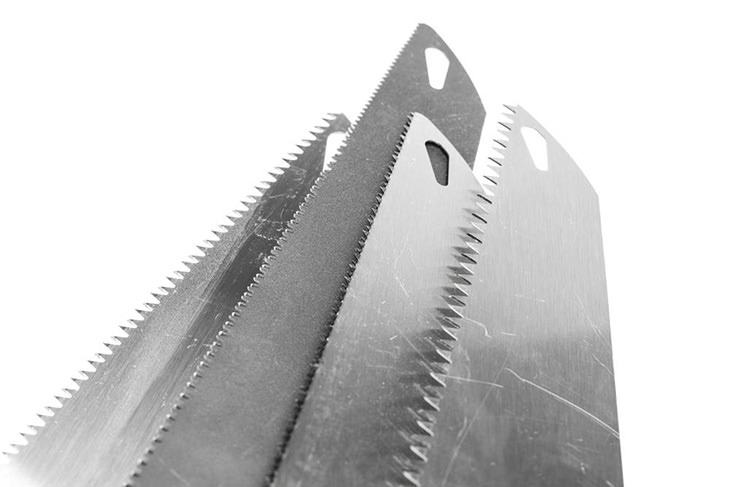 One of the defining characteristics of a saw is the blade itself. What the blade is made reflects the quality of the blade. For instance, alloy blades have a high tensile strength and are sharp. Then there’s the design of a blade which can either be straight or curved. Straight blades are for thick branches, while curved blades are for smaller ones. Another thing considers in the saw are the teeth of the blade. What’s the TPI(teeth per inch) and what’s the size of the teeth? Blades with high TPI cut smoother than blades with a low TPI. On the other hand, large and coarse teeth cut faster. ​The teeth design is also important. Some saws will only cut in the pull direction, while others can cut in both pull and push. 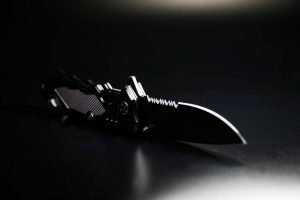 ​The kind of blade you should get should match your intentions. For instance, hard and dry wood calls for saws with fine teeth for a smooth cut. This factor speaks about the handle of the saw. It may seem trivial but comfortable handles can make the work easier and faster. Handles that are hard on the hands will require frequent breaks to give your hand time to recover from discomfort. Though calluses are bound to happen, the handles should somehow help prevent them from happening. Buying online won’t give you a chance to hold the saw, but you can always read what others have to say about it. How easy is the saw to unfold and fold back in? It shouldn’t be too difficult to unfold that it will risk accidents, but it also shouldn’t be too easy that it can just unfold itself. There should be a securing mechanism for safety purposes. Also, keep in mind that not all saws are ambidextrous. Look for a saw that is convenient for both lefties and righties. There is a wide selection of folding saws in the market with varying prices. Many of you will be tempted to go for the cheaper option. Most of the time, great quality is synonymous to higher cost. 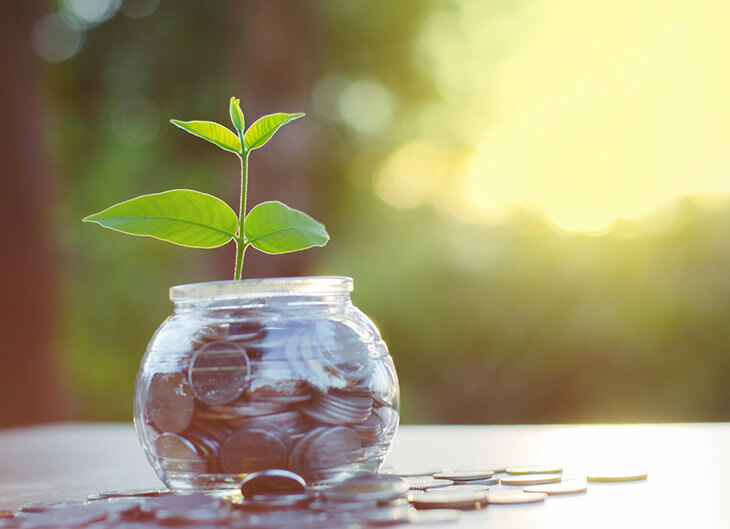 However, you should see this as an investment, especially if you want something to last you awhile, especially if you will be using it frequently. 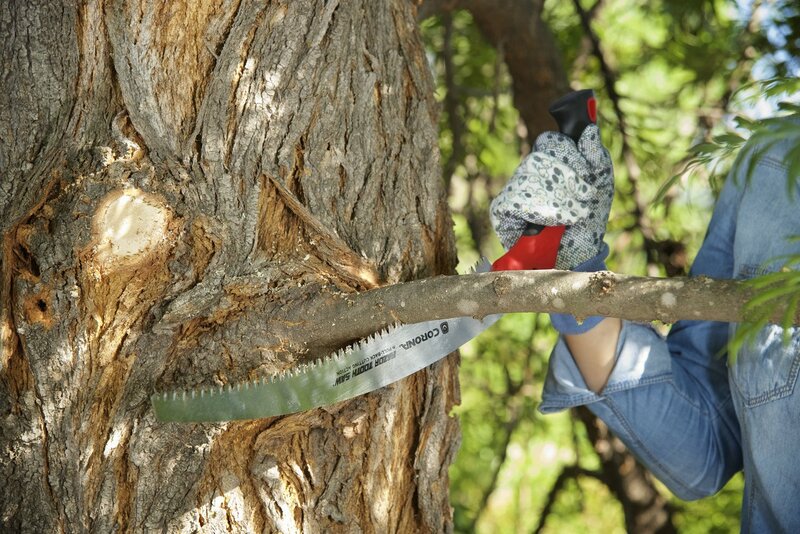 ​If you’re still not sure what folding saw to get, take a look at our top three choices. Bahco is a top-notch manufacturer of hand tools and saws from Europe. They’ve been innovating for around 130 years! The Bahco Laplander Folding Saw is one of their bestsellers. In fact, it’s the #1 best seller in Hacksaw Blades on Amazon. The Laplander is a general purpose saw. The 7.5-inch Laplander has seven teeth per inch. It can cut through green wood, dry wood, plastic, and animal bones. This saw is popular for hunters and campers. The blade is coated to increase the level of protection and to lower friction. The saw design allows cutting in both pull and push strokes. Excellent grip: stronger and more durable than another. 7 ounces weight and folds to a compact size. It’s a great option for backpacking. The lanyard is placed at a nice and convenient place. The switch seems very safe, and it’s easy to use. Not ideal for large wood. 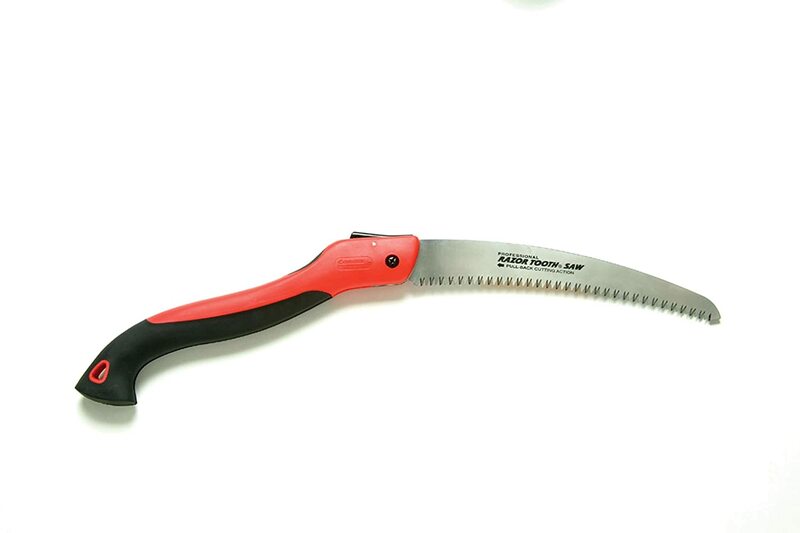 If you want a folding saw for pruning small to medium branches, you should take a look at the Razor Tooth Saw. Its manufacturer, Corona Clipper, Inc., is a leading manufacturer of gardening and landscaping tools in the U.S. The Razor Tooth Saw has a curved blade design to aid in quick cutting of branches. You can choose from 3 sizes for the Blade – 7 inches, 8 inches, and 10 inches. The blade is an SK5 steel blade, which has a higher carbon content to make the steel harder. It also allows the blade to remain sharp for a long time. The saw design is meant to cut on the pull stroke only. 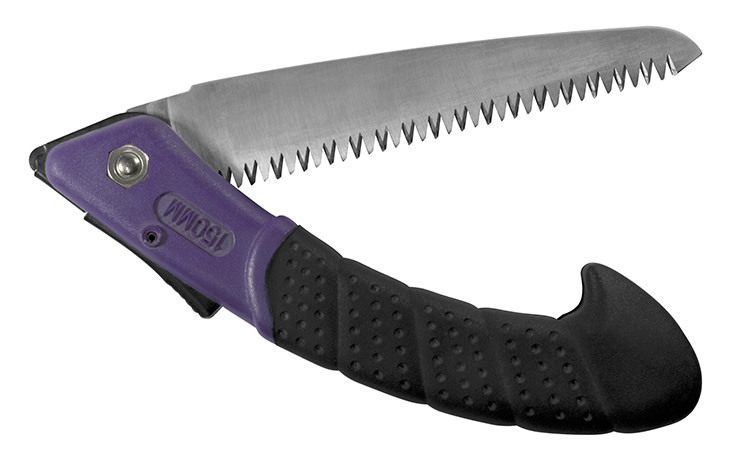 If you want a folding saw for pruning small to medium branches, you should take a look at the Razor Tooth Saw. Its manufacturer, Corona Clipper, Inc., is a leading manufacturer of gardening and landscaping tools in the U.S. The Razor Tooth Saw has a curved blade design to aid in quick cutting of branches. You can choose from 3 sizes for the Blade – 7 inches, 8 inches, and 10 inches. The blade is an SK5 steel blade, which has a higher carbon content to make the steel harder. It also allows the blade to remain sharp for a long time. The saw design is meant to cut on the pull stroke only. The 7-inch one is a pretty good if you’re saving weight and space. The lock mechanism is easy to use. It’s also very secure. It has a nice curve that makes drawing smooth. Works great for one-handed sawing. Something can get caught in it if you just throw it in a bag. The hinge mechanism gets loose frequently. You can use Loctite to solve this issue. The switch/lever to unlock can easily be disturbed. 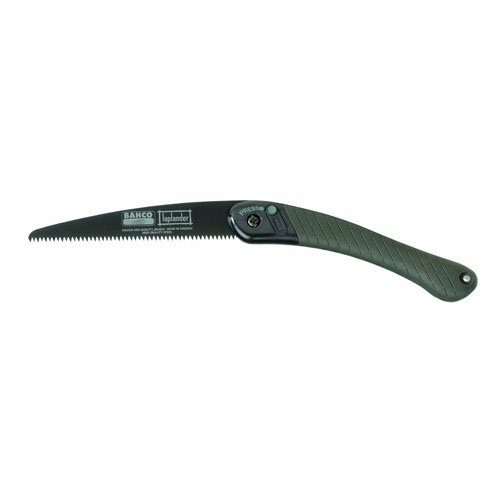 If you’re looking for an all-purpose or general purpose saw, the Eversaw Folding Saw is a great option. 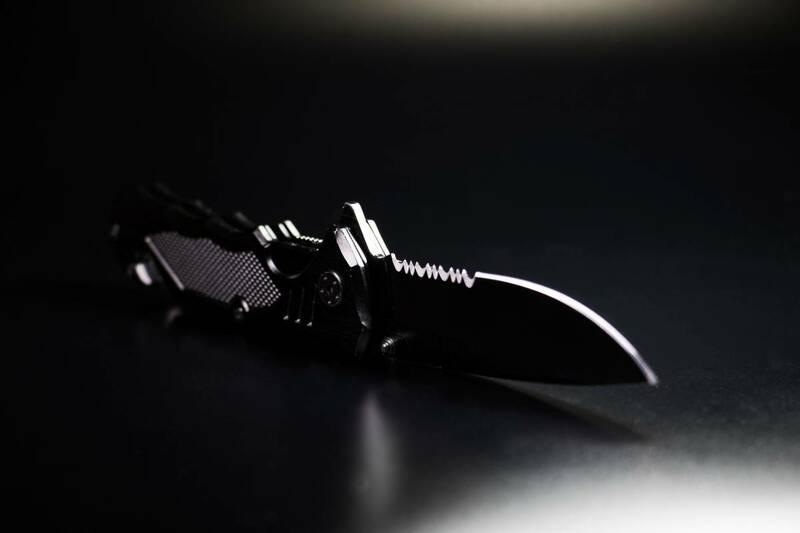 It has a rugged 8-inch blade that has triple-cut hardened razor teeth. The blade uses carbon steel and features a 9-TPI design, making it a great utility saw. The unfolded length is 17 inches, while the closed length is 9.5 inches. Both left and right-handed users can easily have an excellent grip on the handles. The lock is easy to use and prevents accidental unfolding or inadvertent folding while you work. If you’re looking for an all-purpose or general purpose saw, the Eversaw Folding Saw is a great option. It has a rugged 8-inch blade that has triple-cut hardened razor teeth.The blade uses carbon steel and features a 9-TPI design, making it a great utility saw.The unfolded length is 17 inches, while the closed length is 9.5 inches. Both left and right-handed users can easily have an excellent grip on the handles. The lock is easy to use and prevents accidental unfolding or inadvertent folding while you work. It’s an excellent multi-purpose saw. The blade is strong and durable. 9-TPI allows for smooth cutting. It has a nice and comfortable sure-grip handle. It’s heavier than the Bahco. The handles feel a little flimsy. The folding saws on this list are just around the same price range. However, there’s a lot of different in the quality. Among the three, I believe the Bahco has the best qualities for my needs. The fold and unfold length are great, it is lightweight and durable, and the handles are great too. I think they are the most versatile among the three. It is the best one for backpacking, camping, hiking, biking, and more. I hope you learned something about how to choose the best folding saw. Remember, first identify what you’ll use it for.